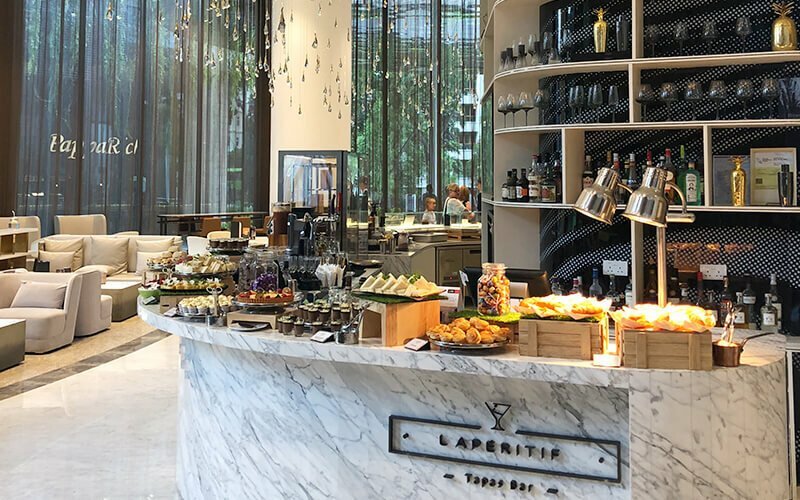 Situated at the edge of Orchard Road, L’Apéritif is stationed in the lobby of Novotel Singapore on Stevens and is a ten-minute walk away from both the Orchard and Stevens MRT station. This versatile bar serves both hi-tea selections as well as tapas and drinks. 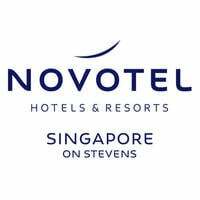 Patrons can visit for an enjoyable afternoon tea with friends while delighting in sweet and savoury bites, or head there after work for their signature smoked cocktails paired with French, Spanish, and Asian-style tapas.